Wine Solutions is located in Cromwell, Central Otago a thriving wine producing destination. The remarkable landscape draws visitors from far and wide who are invariably further captivated by the excellent cellar door facilities and wine-focused tourism opportunities. Central Otago includes 132 vineyards and enjoys worldwide acclaim, the region winning international competitions most years. Pinot Noir represents over 75% of the varietal produced in province. The regions Reisling, Pinot Gris and Chardonnay are exception white wines. Pinot Noir is very fickle and can have quite a range of flavors depending on the vintage, vineyard locations and of course the way it is made. Navigate the path to finding your perfect Pinot; meet our resident winemaker and try out our cellar door featuring different boutique locally made wines monthy. As local wine bottling, storage and dispatch experts, we are here to not only look after your wine in a premium temperature controlled environment but offer access to some great wine offers and exclusive tasting events. Our state of the art temperature and humidity controlled cellar is custom designed for wine storage which provides a highly secure, consistent environment for your wines to reach peak maturity. 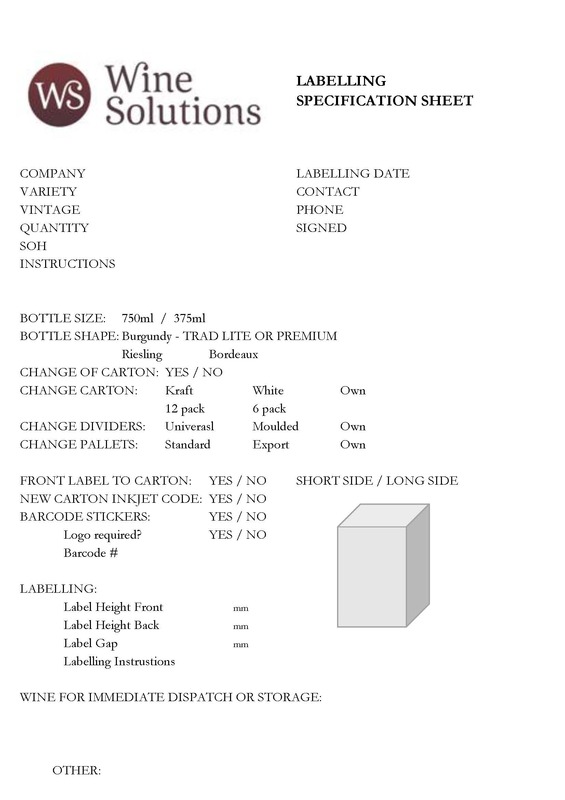 The Wine Solutions team can receive wine orders for you, dispatch a case or two to your current location, or just keep an eye on your precious investment as it reaches maturity; its a personalised service and no job is to big or small! Wine Solutions has positioned itself as a wine service centre of excellence, with services managing every step of our clients wine from bottling, through to storage and dispatching of wine to local and international markets. Wine Solutions focus is very much on delivering a bespoke service to the wine industry where attention to detail is second to none. The quality of the storage environment Wine Solutions provide and our ability to manage temperature control will have a significant impact on wine quality through the supply chain. Wine Solutions also provide bulk transportation of wine direct to the bottling plant in newly detailed truck and tanker units with specialised thermal covers to hold the wine at optimum temperatures. Operating from Central Otago’s most highly specified specialist facility in Cromwell, clients can keep a keen eye on exactly how their wine is being cared for. Wine Solutions has 1,500 sqm of state-of-the-art temperature controlled warehousing in Pinot Noir Drive and will store just under 2,500 pallets. We work closely with many freight companies, both nationally and internationally, ensuring that your product is delivered safely and on time. Production facilities are provided in the new purpose built bottling hall. Attention to detail and the focus on our clients and their product is our priority. With a hands on approach ensuring each bottle is presented perfectly, ready for market. Exporting can be quite a daunting task for an independently owned, boutique winery. Dealing with all aspects of export takes up so much time for an owner / operator that the process does take a person away from driving the day to day business and local, domestic sales. 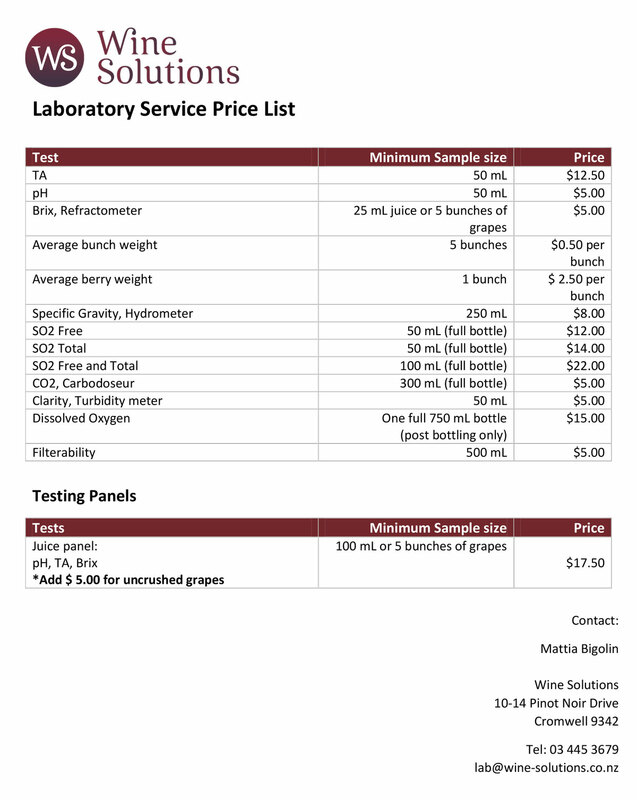 Full laboratory services are offered as part of our bottling process. Our bulk tankers will transport your wine in a controlled environment to our bottling line, care is taken to ensure that your wine is handled in optimal conditions every step of the way with thermal blankets for the tanker and curtain sider truck for pallecons straight into our bottling building. We offer contract bulk wine transportation and finished wine transportation. 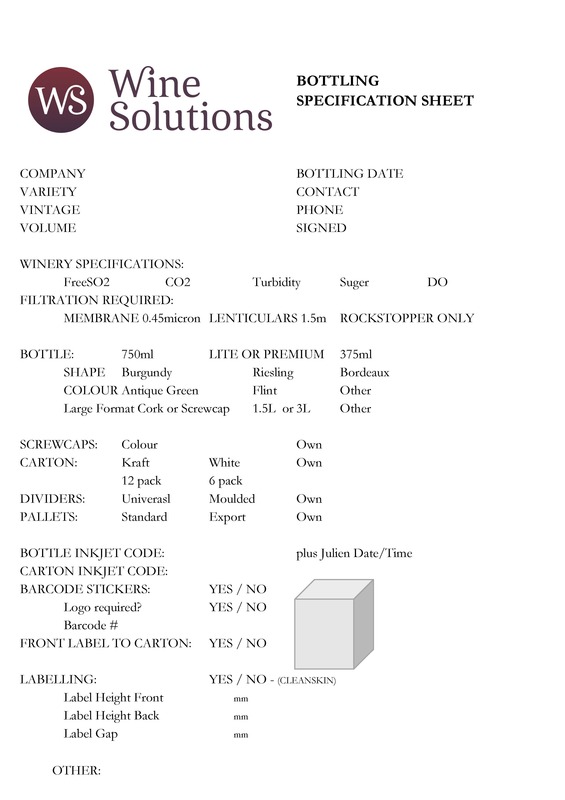 We offer competitive rates on all products needed for the bottling of your wine, from bottles, screwcaps, cartons and pallets. Wine Solutions has developed systems & applications designed to improve the efficiency and performance of client companies. Providing a new phone / tablet / computer App for stock control, order initiation, dispatch instruction, delivery monitoring and invoicing is making life much easier for mobile managers.